Jack Geer, 70, of Snowdome Rd., Mt. 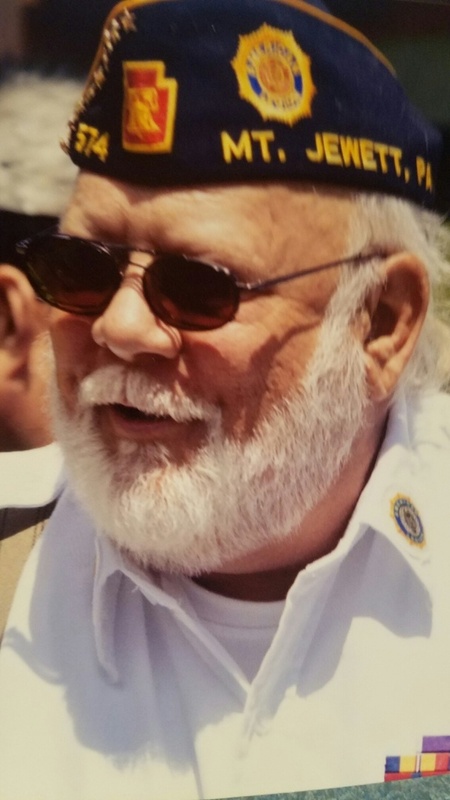 Jewett, passed away unexpectedly Sunday (January 27, 2019) at Penn Highlands Elk in St. Marys. Born December 5, 1948, in Kane, he was a son of the late Martin and Edith Ishman Geer. On December 22, 1973, in Kane, he married Deborah McMillen who survives. Jack was a foreman for the railroad. He served in the Marines during the Vietnam War where he received the Purple Heart Award. He belonged to the Marine Corps League Post 1102 Bob Swanson Detachment, the VFW and the American Legion (Mt. Jewett Memorial Veterans Club) where he was a past Commander at the Legion. He also was a Boy Scout leader for many years for Troop 410 in Mt. Jewett. He was a member of the Mt. Jewett United Methodist Church. Surviving, in addition to his wife, are a son, Jason (Melissa) Geer of Meadville; a daughter, Heather (David Perry) Geer of Mt. Jewett; a granddaughter, Jourdan; two grandsons, Brady and Zachary; eight brothers, James (Barb) Geer of Phoenix, AZ, Larry (Sonja) Geer of Kane, Robert (Jodie) Geer of Hammond, LA, Gary (Georgianne) Geer of Mt. Jewett, Richard (Dorothy) Geer of Warren, Thomas Geer of Mt. Jewett, Steven (Sue) Geer of Mt. Jewett and Scott (Norm) Geer of Monument, CO; and four sisters, Patricia Lindquist of Kane, Karen Ryding of Kane, Vicki (Tom) Victory of Mt. Jewett and Cheryl (Rob) Flickinger of Mt. Jewett. Friends may call at the Cummings Funeral Home, Inc. in Kane on Friday from 4:00 to 8:00 pm. A funeral service will be held 11:00 am Saturday at the funeral home with The Rev. Cindy Duffee, pastor of the United Methodist Church in Mt. Jewett, officiating. Burial will be in Bridgeview Cemetery. Donations may be made to the Diabetes Foundation.